Wine route through DO Empordà ARchive. This young project in Alt Empordà was set up by oenologist Josep Serra and his wife in 2002. It all began with the purchase of an old vineyard, which was between 50 and 75 years old, growing Carinyena and Garnatxa, the two grape varieties that are most representative of the Empordà area. La Vinyeta winery, which was built in 2006, is today surrounded by vineyards and olive groves, where the owners offer a variety of wine-related activities. La Vinyeta has a range of interesting wines, which all have very attractive and unique profiles, thanks to the work of Lluis Serra, Josep’s brother and a graphic designer. The white, rosé and red “Heus” wines are the youngest La Vinyeta produces. The freshness of the Heus wines reveal the essence of a youthful spirit and respect for the environment that has allowed La Vinyeta to become part of Catalonia’s integrated organic farming standards, which ensure sustainable agriculture. The white and red “Llavors” wines that are fruity and noble, based on a concept that is young, dynamic and with the strength of the Empordà essence. Their labels are fragments of newspapers recalling important events that took place during the creation of the wine. They are the most modern version of a Tramuntana wine. The “Puntiapart” red wine closes the circle, the culmination of a long journey undertaken by La Vinyeta. Coming from some of the oldest vineyards in Empordà, this wine is the most complex the winery produces and scores very high in the most respected wine guides. Visits for groups and individuals to be booked in advance. The same La Vinyeta winery also offers the option of having lunch. It is a fun and original option in the vineyards themselves. All you need is to find a good, well-protected spot during the visit. The winery provides tablecloths, a couple of wine glasses and good assortment of homemade cold cuts and cheeses, a good salad and a delicious dessert. 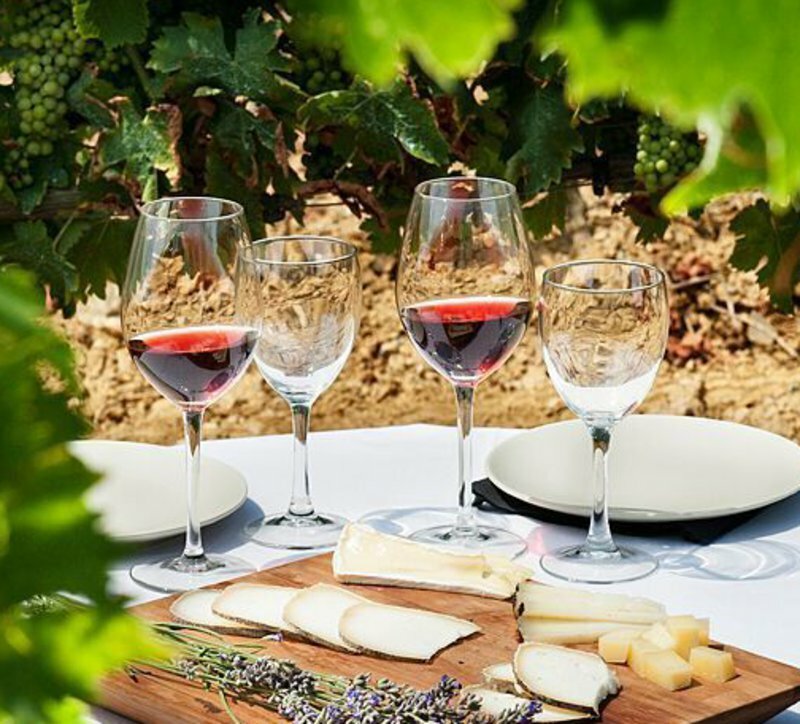 The picnic lunch option includes a guided visit of the winery and a tasting session. The lunch option is only available at weekends and on public holidays. There are two sittings, the first at 10.30am and the second at 12.30am. It is a unique experience not to be missed.